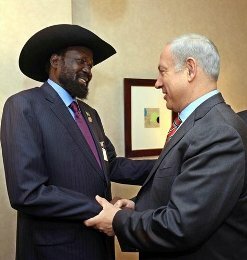 September 23, 2011 (KHARTOUM) – The president of South Sudan Salva Kiir met on Thursday with Israeli Prime Minister Benjamin Netanyahu on the sidelines of the United Nations General Assembly meetings in New York. “South Sudan was established after long negotiations and with the agreement of all parties involved and the international community. Israel was among the first countries to recognize South Sudan, less than 24 hours after it was declared, and will be pleased to contribute knowledge and experience to it in a variety of fields that can help the new country,” Netanyahu said. South Sudan became an independent state last July after its citizens voted overwhelmingly in favor of separation from the Arab-Muslim dominated north. The referendum was stipulated in the 2005 Comprehensive Peace Agreement (CPA) signed between North and South Sudan. South Sudan among many nations has pledged to support the Palestinian bid at the United Nations. It is not clear if Netanyahu sought persuade Kiir not to do so. Israel is home to thousands of Sudanese refugees, including hundreds from South Sudan, and the country’s independence was greeted with celebration parties in Tel Aviv, home to much of Israel’s Sudanese community. The Jewish state promised to assist South Sudan n areas of infrastructure, communications and agriculture. Sudan and South Sudan have signed an agreement on border crossings in a bid to reduce tension following the South’s independence in July. The two sides have agreed to open 10 border crossings to ease travel. Last week, South Sudan accused the north of damaging its economy through a cargo embargo, in place since May. For its part, Sudan accuses the South of fuelling conflict in the border regions of South Kordofan and Blue Nile, an allegation Juba denies. The agreement, signed in Khartoum and brokered by African Union mediator and former South African President Thabo Mbeki, said the crossings would be guarded by six soldiers from each side, while Ethiopian peacekeepers would investigate any reports of violations, the Sudanese news agency reports. In July, the UN Security Council sanctioned the deployment of 300 Ethiopian troops to monitor a demilitarised buffer zone between the two countries. 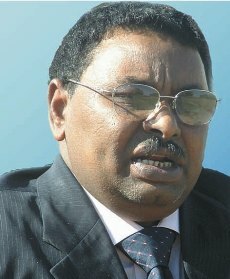 “Today we agreed to open 10 border crossings, to facilitate the movement of people and communication between the people of the two countries,” Sudan’s Defence Minister Abdelrahim Mohammed Hussein said, after signing the accord with his counterpart, John Kong, the AFP news agency reports. Despite the deal, the two sides have not yet demarcated their border – especially in Abyei, which is claimed by both sides. 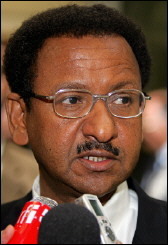 Gen Hussein denied the conflict in Blue Nile and South Kordofan – which had displaced tens of thousands of people – had caused tension between the two countries. “There are no allegations against the government of South Sudan and there are no differences between us on Blue Nile and South Kordofan,” he said, AFP reports. Earlier this month, Sudan said it was complaining to the UN Security Council that South Sudan had sent 25 armed land-cruisers to support rebels in Blue Nile. Sudan had previously made a similar complaint about South Kordofan, where rebels have been fighting pro-Khartoum forces for the last three months. South Sudan strongly denies the allegations. During the long north-south civil war, many residents of the two areas fought for the SPLM , which is now the ruling party in the south. 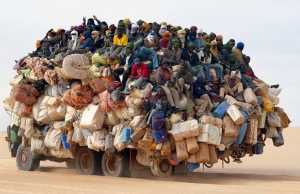 Last week, Sudan ordered 17 political parties, including the SPLM-North, from operating, saying their leaders were now foreigners. South Sudan has also accused the north of declaring an “economic war” by unilaterally introducing a new currency and imposing a cargo embargo in May. كشفت موقع (ويكليكس) عن محضر إجتماع دار بين مستشار الرئيس السوداني للشؤون الخارجية مصطفي عثمان إسماعيل والقائم بالأعمال في السفارة الأميركية في الخرطوم البرتو فرنانديز في يناير 2009م. وأطلع إسماعيل فرنانديز بأن قيادة المؤتمر الوطني كانت قد إتخذت قرارات إستراتيجية “تقربها من الغرب”، من بينها قرار قيادة المؤتمر الوطني بتسليم أحمد هارون- والي جنوب كردفان الحالي- وعلي كوشيب- زعيم مليشيا الجنجويد- لكن قرار الجنائية بالقبض على الرئيس البشير قد جعل المؤتمر الوطني يتراجع عن هذه الخطوة- على حد تعبير إسماعيل في الوثيقة المعنية. تابع إسماعيل: “الخطوة الأخرى، كنا قد إتفقنا على ترشيح شخص آخر بديلاً للبشير لدخول إنتخابات مايو 2009م .. وإحالة البشير للمعاش بعد عشرين عاماً قضاها في الحكم. كل الذين يعملون معنا (في المؤتمر الوطني) على ردم الهوة السياسية بيننا وبين الغرب فشلنا في القيام بهذه الخطوات بعد قرار الجنائية ضد البشير”.